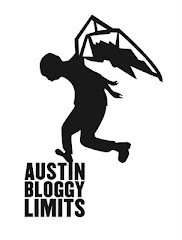 I wanted to focus on another Austin City Limits Festival performance, happening on Sunday as there are STILL single-day tickets available for the final day of ACL 2011. Part of me feels like, Elbow is too well-known to need highlighting on my little blog but then again perhaps you didn't realize they were performing. So, this should serve as a friendly reminder that ELBOW ARE PLAYING ACL FEST!!! Note the emphatic tone, I LOVE Elbow and I was kind of shocked when I saw they were going to be a part of this year's festival. I got hooked on Brit-pop as a high-schooler, living in rural Maine in the late 90's/early 00's. It was so clever, catchy, jangly and somehow exotic to my ears. I was intoxicated with the accents, the preciousness, the sincerity and the melodies. Elbow isn't the first band that caught my attention, that was Blur but they were and are a big part of my love for all things Brit-pop. They play the Google+ stage at 5:30p on the Sunday of ACL Fest, right before Fleet Foxes play the neighboring stage. In case you lost track of Elbow in recent years, they released a new LP in March of this year called, Build a Rocket Boys!, which was nominated for the Mercury Music Prize this year. Incidentally, it lost out to P.J. Harvey but just being nominated for the prize, should give you an idea of what a monster the album is, at least in terms of artistry. The opening track is 8 minutes long and manages to encompass everything that is truly great about Elbow. I expect their live set at ACL to be just as sprawling, with a decade's worth of material to cull a 60 minute set you should anticipate a greatest hits of sorts. Although, the band is said to already be working on new material I wouldn't think they would show off brand new cuts in a festival set. You never know though, I suppose.